A 240,000 sq ft structure housing performing & visual arts and sciences under one roof. Home to the Avampato Discovery Museum, Juliet Museum of Art and Maier Foundation Performance Hall. Unique shops located in a charming neighborhood commercial district. Experience world class dining, shop for your favorite designer clothes, decorate your home with the warmth of one-of-a kind accessories, and experience local and regional art. A free self-guided walking tour of Downtown Charleston’s shops, galleries and businesses featuring a variety of art – from paintings and sculptures to photography and music. ArtWalk is held the third Thursday of each month. This hidden street gem offers a unique group of stores and restaurants. Shop at Stray Dog Antiques, get pampered at Tops Off Barber Shop, Salon and Spa, get a smoothie at Mission Savvy Vegan Cafe and dinner at Celsius. The event features visual arts, music, theater, dance and film as well as other cultural and entertainment events. 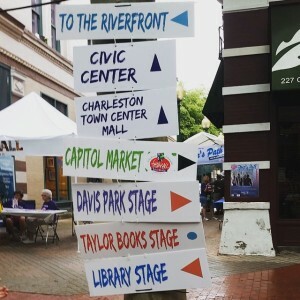 It mixes fine arts and pop arts in venues and locations all over Charleston and includes a wide variety of styles and genres. All year long Charleston has lots to offer the City Explorer. There’s always something to do in the area!